Add a google app to show maps, or documents connected to your google account. 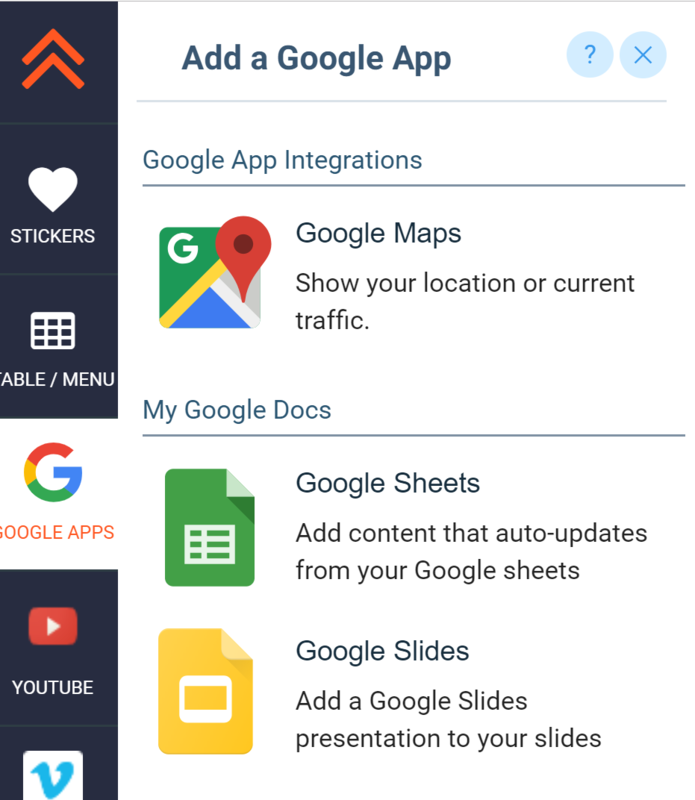 To add a Google app to your slide, click on the Google Apps button in the App Bar. From there you can choose to add a Google Map to show a location or traffic, Google Sheets to show information that is automatically updated from Google Spreadsheets to your slide, or Google Slides and Docs that automatically update on your signs.